My first time in the Sally Gap in Wicklow. Really quite an amazing place. I’ll be going back there… many many times. Had an indescribably fantastic time driving around there. Next time I go back, I’ll probably take a left instead of a right at that junction that I probably won’t be able to find again. Map I think… definitely map required. Much to my dismay, no. I don't currently own an infrared filter but I hope to remedy that situation in the very near future after seeing Darren's truly stellar work. This shot is all lightrooms doing. 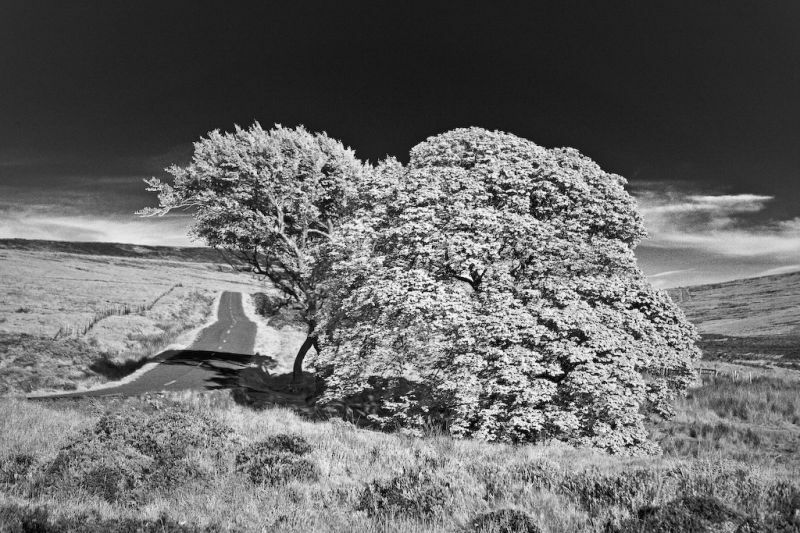 Very nice indeed, it does look like an IR shot. I'm going to have to visit that area again soon. There are so many places to visit around that area. Next time you should head out to the wicklow gap as well. This and the Glendalogh shed shot look really mid western American to me, like novels by Anne Tyler. I love this, it's gorgeous. It looks like snow has overpowered this tree!